ISLAMABAD: Some areas in the upper half of Pakistan were hit by rain while the mountainous regions received snowfall Saturday morning. It rained in Islamabad, Rawalpindi, Abbottabad, Mansehra, Muzaffarabad and Rawalakot. 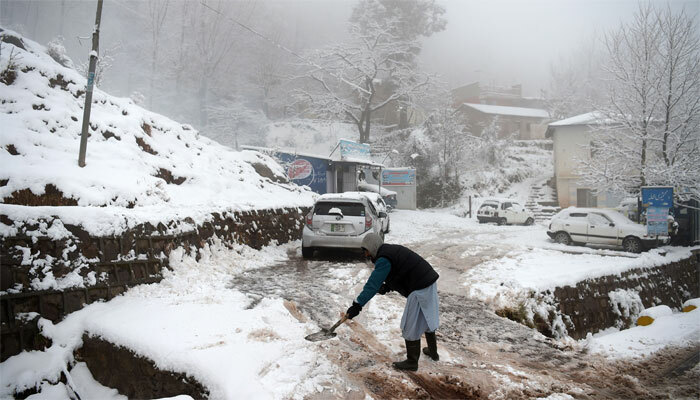 Murree, Gilgit, Thandiani, Naran, Kaghan, Swat, Kalam and Malam Jabba received snowfall.